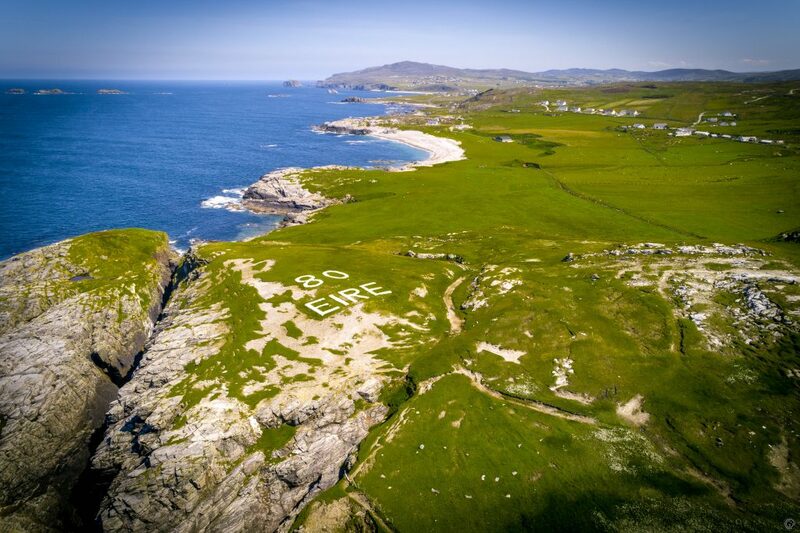 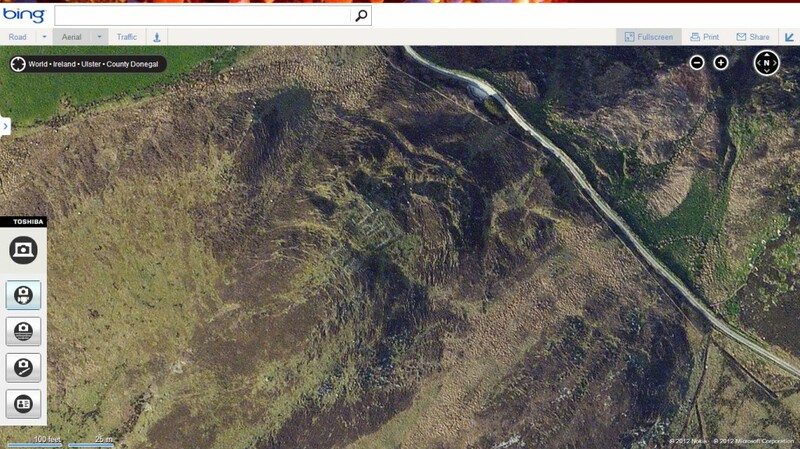 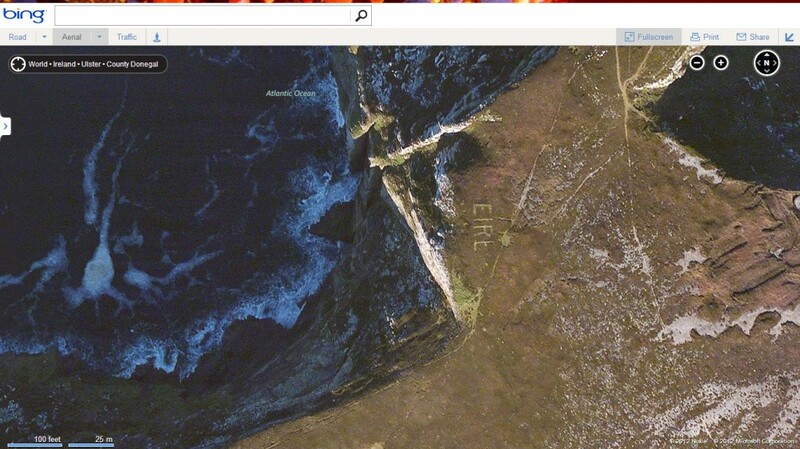 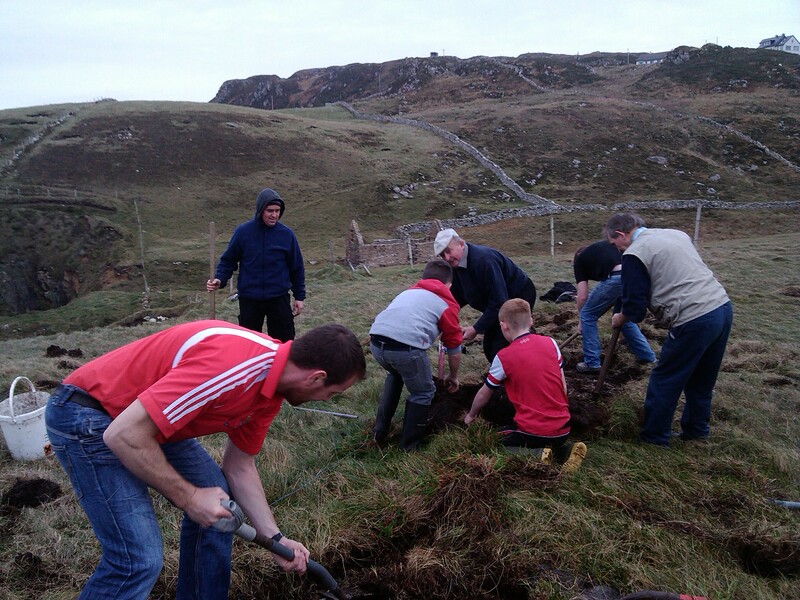 This entry was posted in Bing Map image available, Donegal on April 1, 2013 by admin. 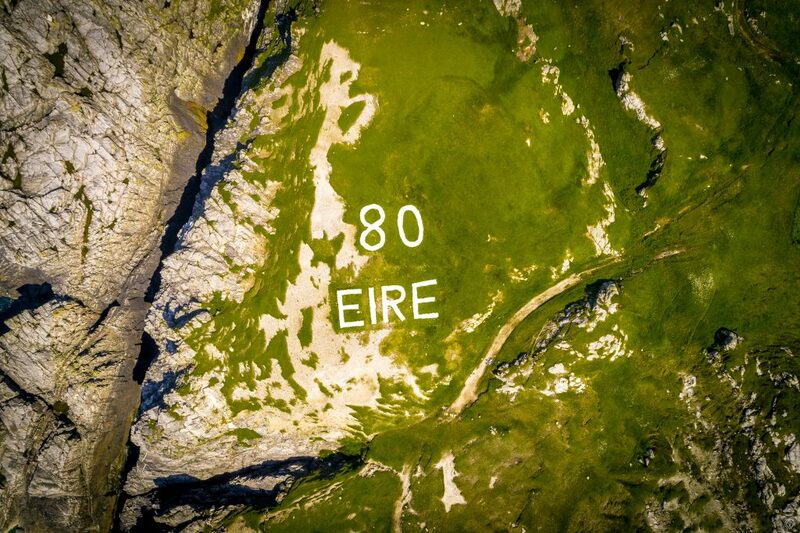 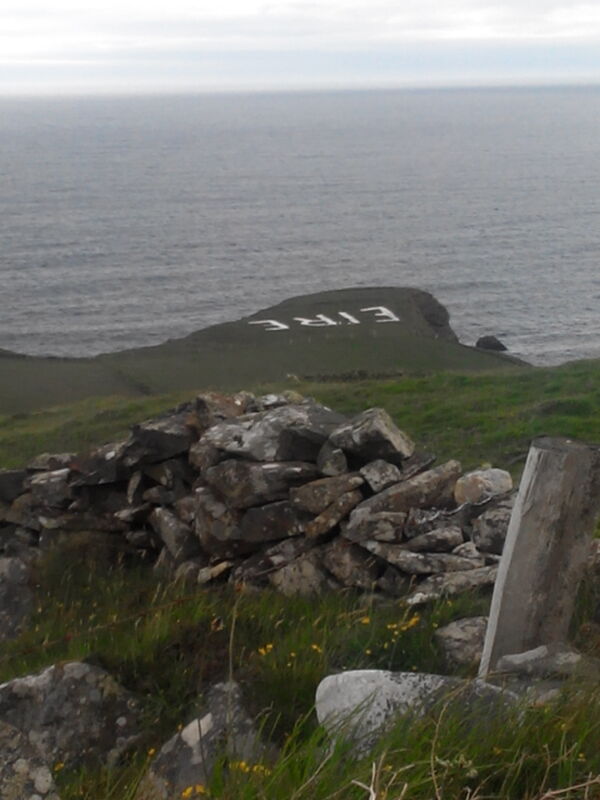 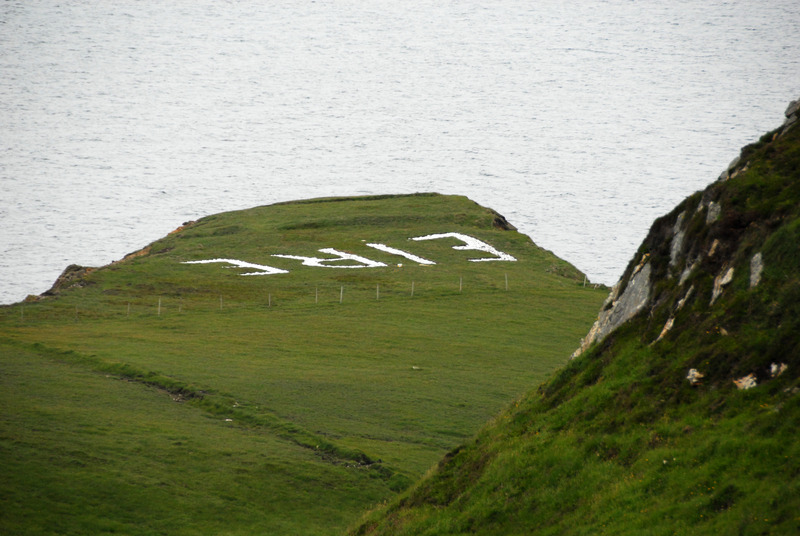 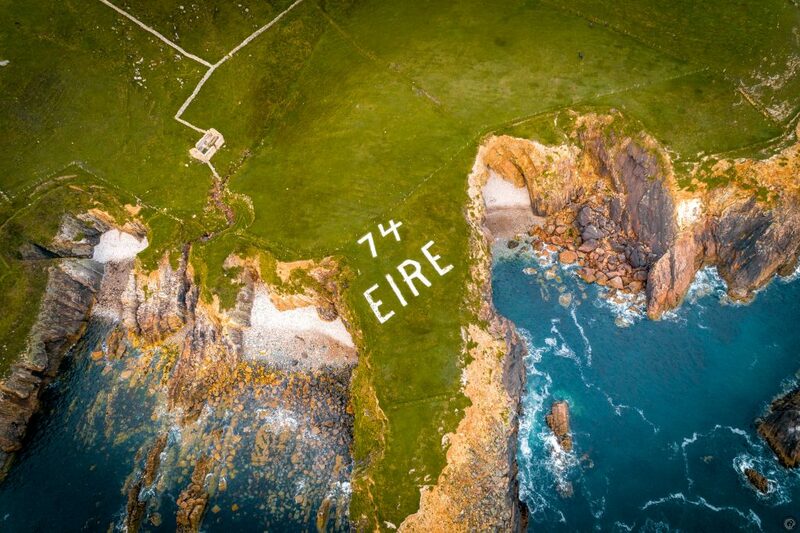 Two signs were built on Slieve League, of which all that remains is this part next to a carpark. 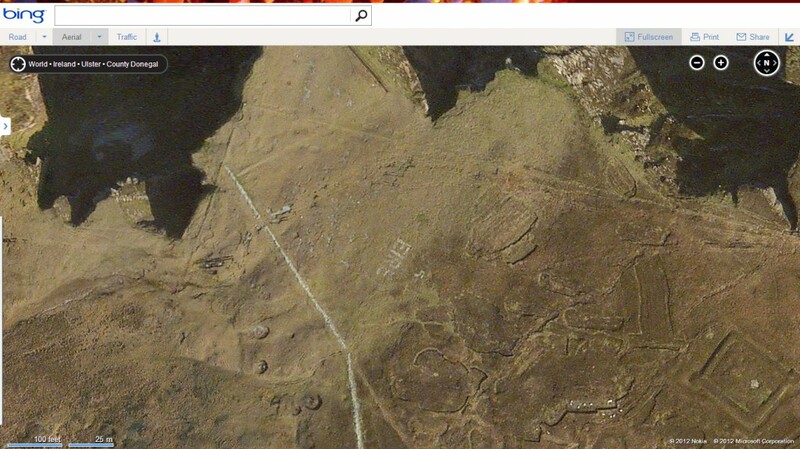 This sign is almost impossible to see on the aerial photographs but it has been renovated at some point. 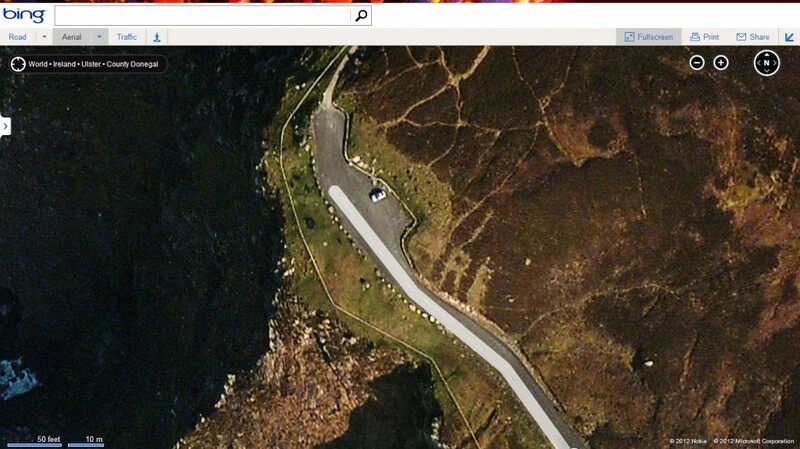 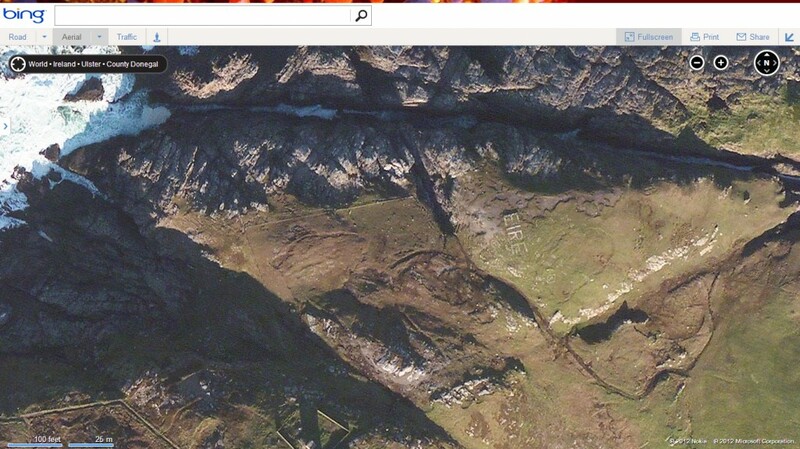 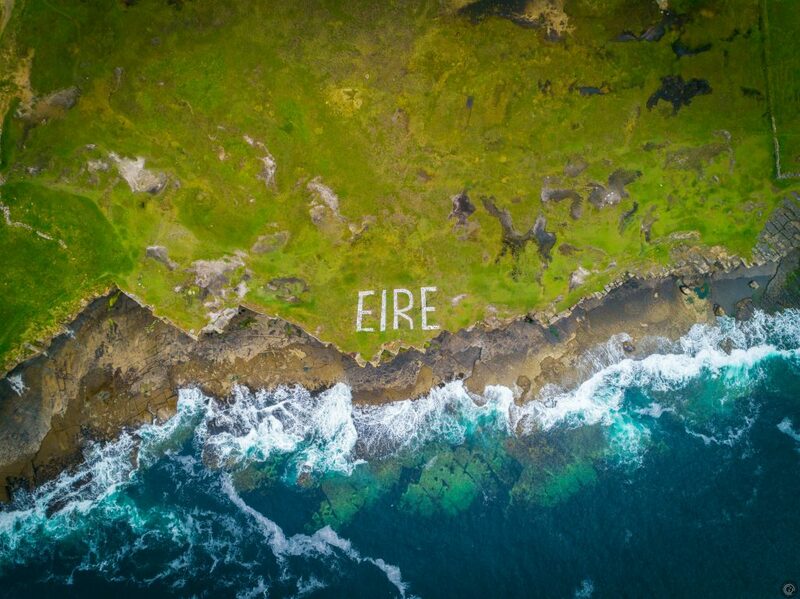 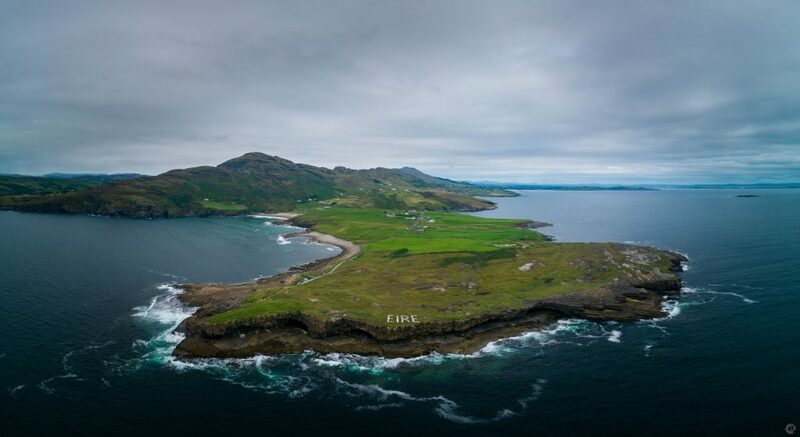 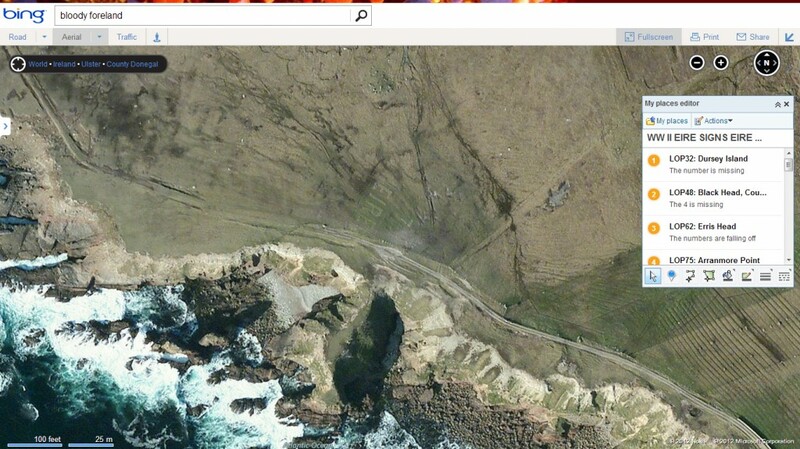 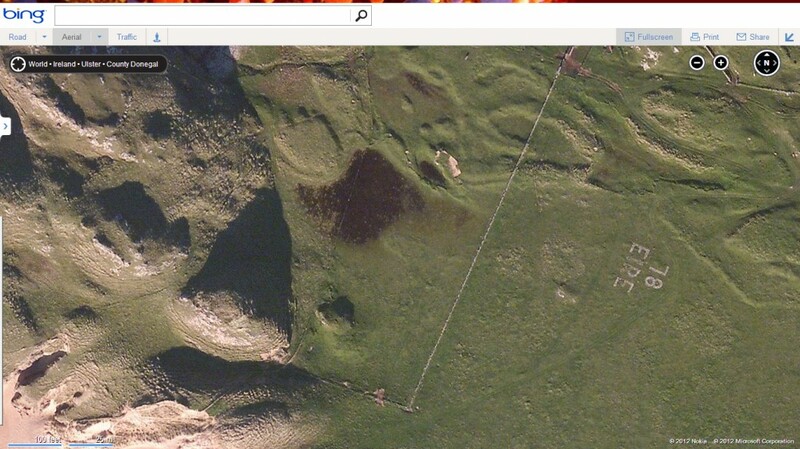 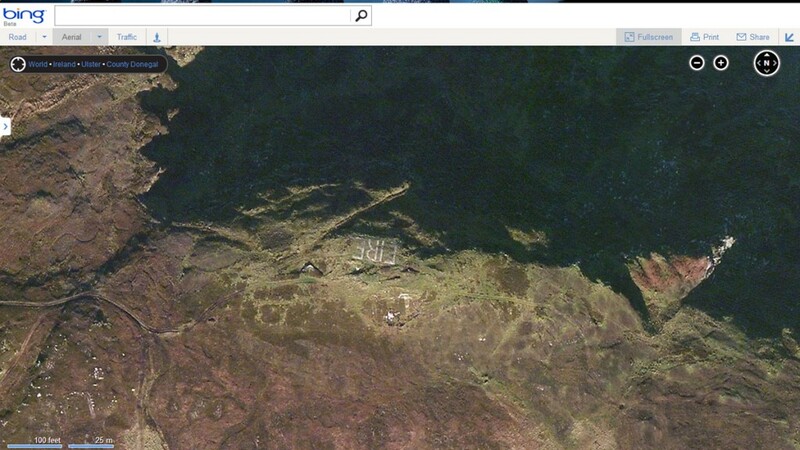 This entry was posted in barely visible, Bing Map image available, Donegal, incomplete, restored on December 12, 2012 by admin.